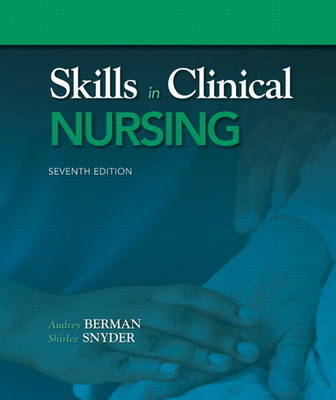 Skills in Clinical Nursing, Seventh Edition brings together the 166 most important skills performed by nurses, including all common variations, organized from the simplest to the most complex. This edition has been revised, restructured, and updated to reflect current practice, responding to extensive feedback from clinical nurses, market surveys, and the authors' own teaching and practice experience. Each chapter contains concise introductory material, placing skills in the context of anatomy, physiology, and pathophysiology, and clearly explaining their purpose and rationale. Each skill is then presented in exceptional step-by-step detail, with 800+ illustrations. Skills coverage is complemented by critical-thinking insights on using assessment data, and essential guidance on appropriate delegation to unlicensed assistive personnel (UAP).